Microsoft is bringing old Xbox 360 games to the Xbox One. Xbox chief Phil Spencer revealed the huge news during an E3 keynote today. Microsoft is planning to bring the backwards compatibility “natively” to the Xbox One with more than 100 tiles arriving this holiday. Xbox One preview members can play a selection of titles today, and Microsoft isn’t charging gamers to play titles they already own. Previously purchased Xbox 360 titles will show up automatically, and you’ll be able to take advantage of broadcasting, screenshots, and game DVR features. It’s not clear exactly which titles will be available later this year, but Microsoft is promising that Xbox One owners will be able to play multiplayer Xbox 360 games against their friends who own the older console. Microsoft’s Larry Hryb says “game developers just need to approve titles” for them to show up on the Xbox One. Backwards compatibility is a big deal, and the crowd at Microsoft’s E3 event responded with applause at the news. We’ll take a closer look at how it works later today. Developing. 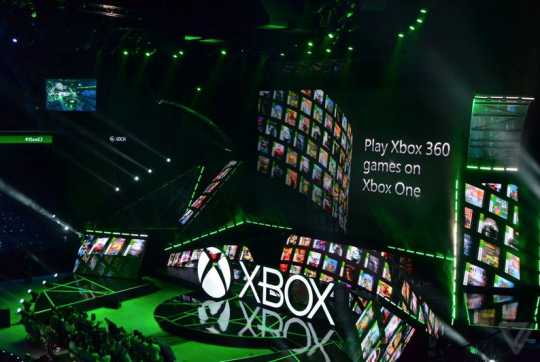 Check out our Microsoft E3 live blog for the latest updates and our E3 2015 event page for all the news!